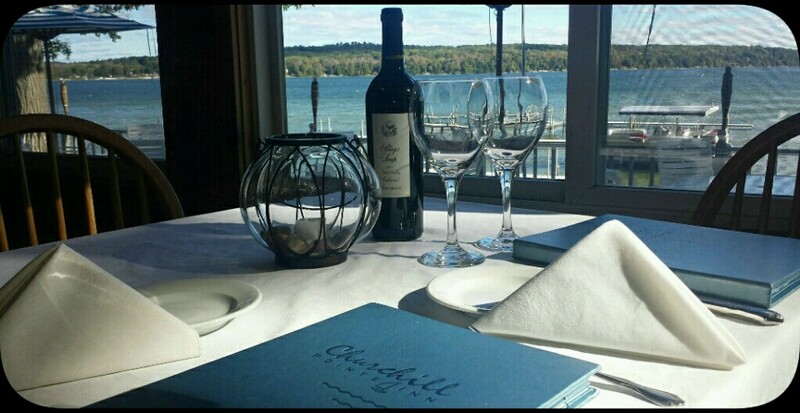 Overlooking beautiful Hubbard Lake, Churchill Pointe Inn has been serving high quality and fresh cuisine and offering comfortable lodging in the best traditions of Northern Michigan hospitality since 1927. Although dress is casual, the spacious dining room covered in white linen tablecloths presents gracious views of the lake from every table. Whether you are looking to have a romantic evening out or just coming in from a day on the Lake, we invite everyone to come and let us take care of you. Our extensive menu has something for everyone to enjoy from fresh lake fish, grilled to order steaks, sautéed chicken classics to pastas, gluten free options, and vegetarian dishes, there is something for all tastes. Please come down to our cocktail bar during your stay, and indulge in a few of your favorite drinks, or choose one of our signature drinks. Our wine menu offers fine wines from around the world that are hand selected and paired with our menu so every dish can be accented with the perfect bottle. At Churchill Pointe Inn we pride ourselves on providing a dining experience to remember.